Avsallar Airport Transfer. Avsallar is a town in the Alanya district of Antalya Province. It is a coastal town. Here you can find nice Hotels and very nices beaches for your stay. To get from Antalya Airport you need a transfer this will take with a shuttle service 2-3 hours and with a private transer 1 hours and 20 minutes. From Gazipasa Airport it will take 55 Minutes. We offer private Avsallar Airport Transfer from both Airports. We offer private Antalya to Avsallar Airport Transfer in a air conditioned Van. The Transfer duration takes 1 hour and 25 Minutes and the price is 56 € for 2 Person you can check all rates here Avsallar Transfer rates You can book your Transfer online and pay uppon arrival to the driver in Euro. We also offer private Transfers from Gazipasa Airport to Avsallar in a air conditioned Van. The Transfer duration takes 55 Minutes and the price is 45 € for 2 Person you can check all rates here Mahmutlar Transfer price You can book your Transfer online and pay uppon arrival to the driver in Euro. Book your Avsallar Airport Transfer at our site to all major holiday destinations by coach, taxi or private mini buses. You will experience that how much you can save and enjoy your own Hoteltransfer Service. We have a fast online booking service with friendliest and dedicated staff to work with us. If you want to reach your holiday destination safely, quickly and without any discomfort very affordably then choose us and you will always be there on time. With most economic price our transfer facility is done very effectively. Avsallar Airport Taxi Transfer, book your private airport transfer online and pay upon arrival to the driver. As soon as you are done with the online process of booking your voucher is emailed to you. We try to organize things in a decent way so that you can enjoy your vacations or stay very calmly and without any tension. Easy booking. Reliable service. Great prices. You can reserve & book your Avsallar Airport Transfer here. Book the transfer simply from home through our online form, without risk, because you do not pay ahead. If you need more information please visit our Frequently Asked Questions sites or contact our customer service site. Antalya Airport Transfer offers you a wide range of economic transfers to all Hotels and holidayhomes in Antalya, Avsallar, Kemer, Belek, Mahmutlar, Side and Alanya. Our Airport Taxi Antalya Service brings you to all areas for a cheap price from Airport Antalya, the normal Taxi at the Airport are 3 times expensiver than our private transfer. 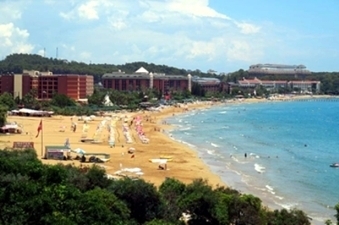 Transfer Airport Antalya gives you a better holiday.